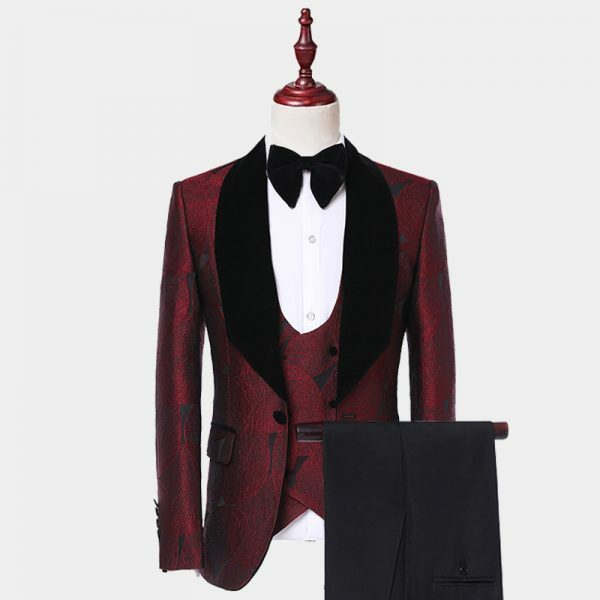 Burgundy color exude confidence and intelligence to those around you. 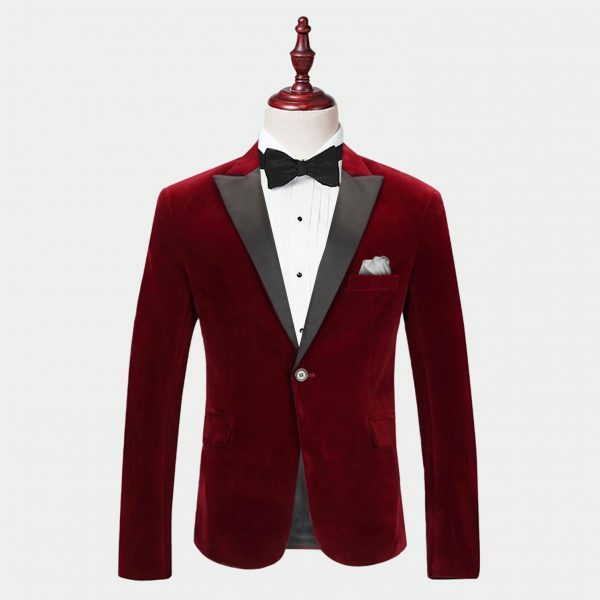 Accent your cream-colored formal vests with burgundy tuxedos. 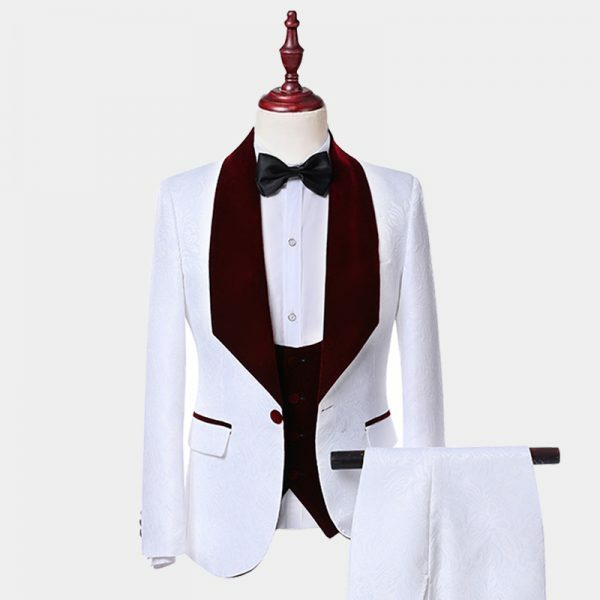 This creates a sharp look that is perfect for the hot summer months. 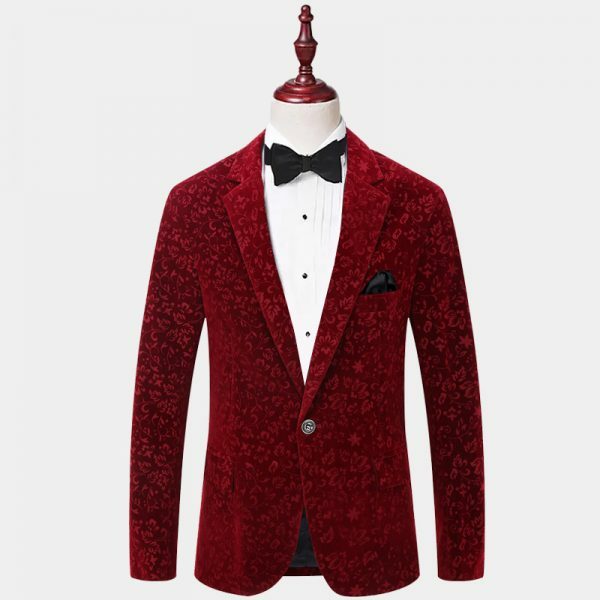 We suggest wearing burgundy tuxedos with gray or black bow ties. 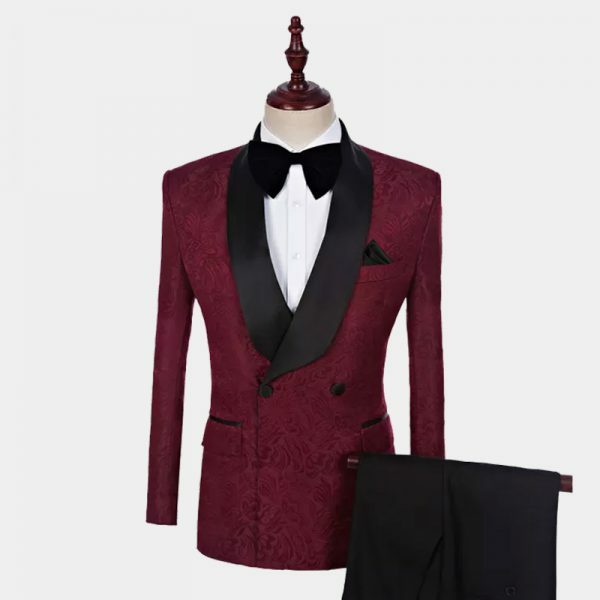 This creates a sophisticated and modern combination, perfect for Fall or Winter wedding celebrations, whether for the groom or the groomsmen, a burgundy tuxedo suit or a tuxedo jacket will make you stand out from the crowd. 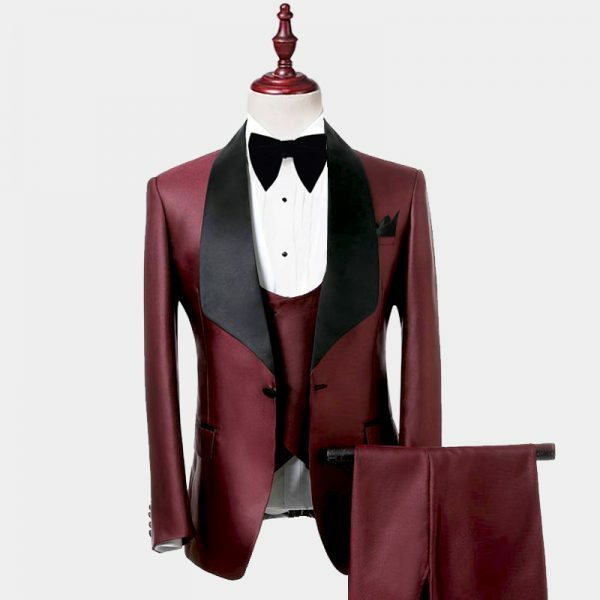 Men's burgundy tuxedos are well known for proms as well as homecoming and cocktails parties, Including little touches of velvet or silk provides a big impact and elevate your sense of style. 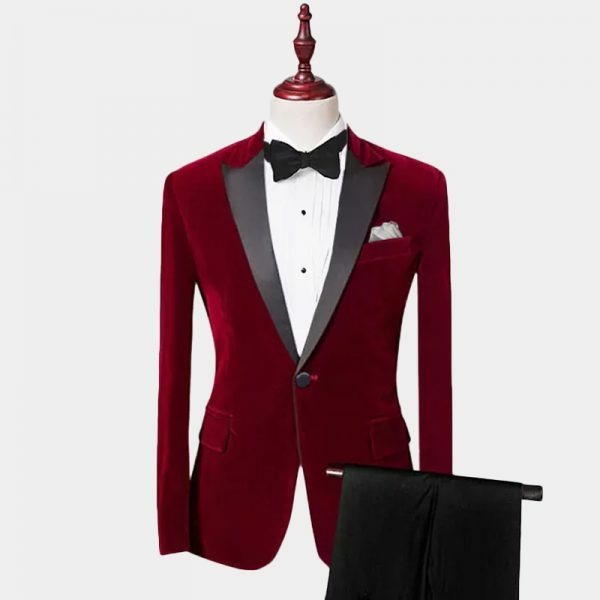 We proudly offer a wide selection of peak and shawl lapel burgundy tuxedos for sale. 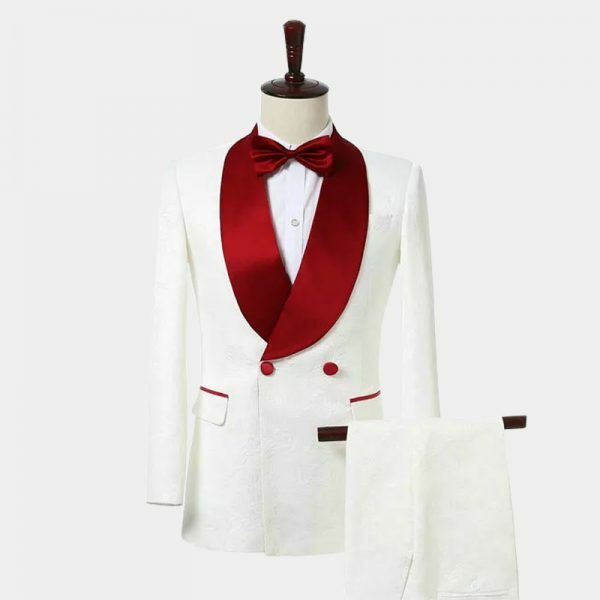 They are expertly crafted from high-quality materials. 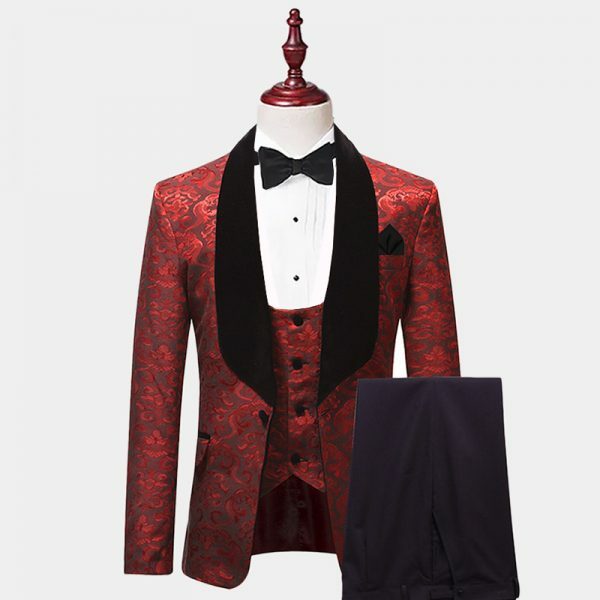 We carry stunning velvet tuxedos as well as luxurious sequins and semi-formal cotton styles. 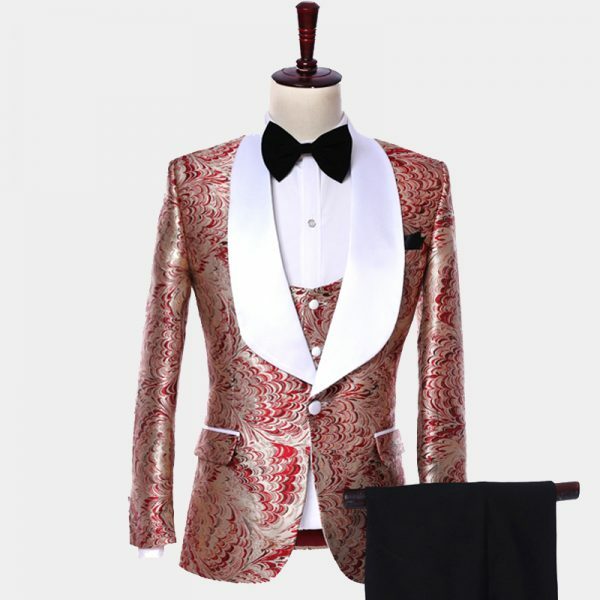 In addition, florals and rich paisley patterns are available in single and double-breasted styles.